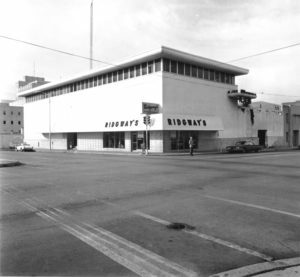 A ‘20s-era car agency occupied the lot at NW 5th and Robinson when new owners hired a young Bill Howard to convert the building to offices. His unique design included luxury offices on two floors offset by a large rooftop deck. 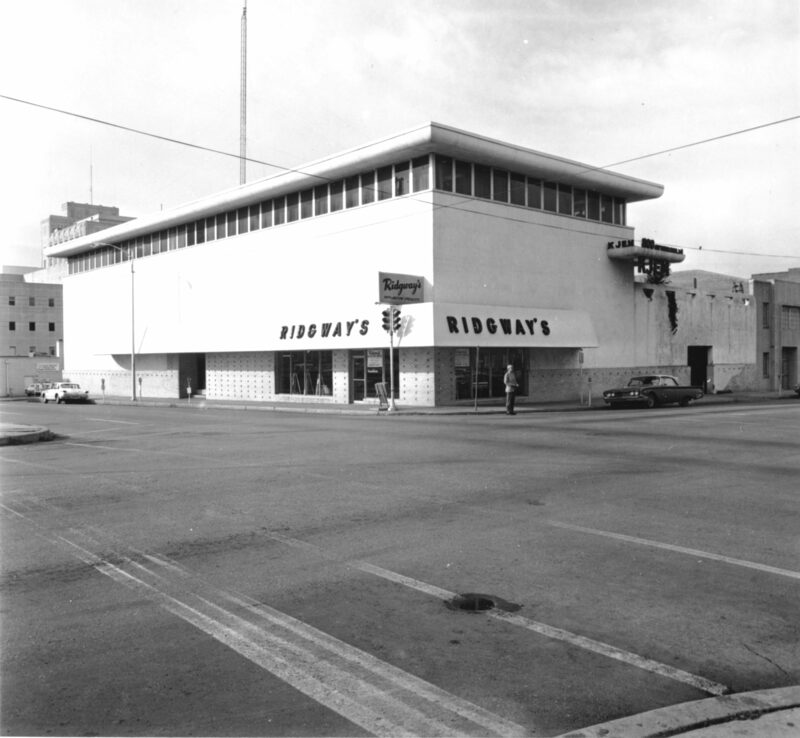 The building was completed in 1956, and its first tenant was radio station KTOW. 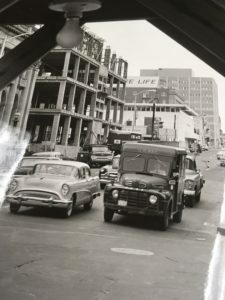 The following year, Consolidated Gas moved into the renovated structure and quickly demanded more space, so Coston Frankfurt & Short were hired to add a third, glassed-in, 5,000 square-foot “penthouse” to the building. 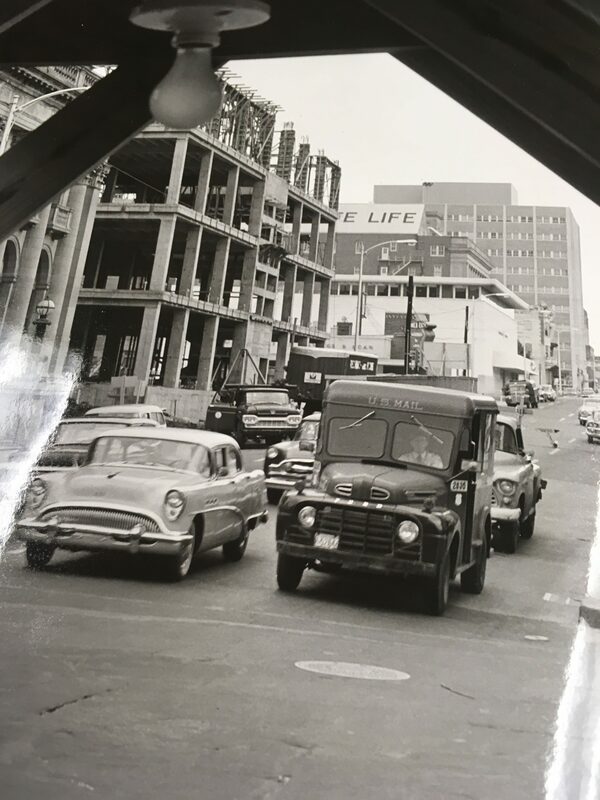 The Wren/Consolidated Gas building is in the background of this photo from 1959 when the Courthouse was being constructed across the street. 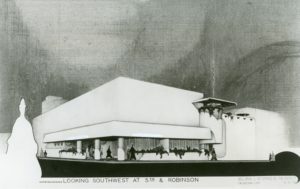 The building was demolished in 1977 and replaced with the new Murrah Federal Building. After the horrific Oklahoma City Bombing in 1995, the site of the old Consolidated Gas building became part of the Oklahoma City National Memorial grounds.